Identifying a club as the “winner” of the transfer window is almost as silly as the nonsense that typically surrounds this period. For proof of this, just ask the witless Richard Keys: Before the beginning of last season, the former Sky Sports host predicted that Everton would finish above Liverpool in the league off the back of the Toffee’s high-spending summer. In the end, Everton floundered and sacked their manager in October. Sam Allardyce was brought in to replace Ronald Koeman, and the club wound up in an uninspiring 9th place finish. That same summer, Liverpool endured a transfer saga involving the sale of one of their star players, Philippe Coutinho (which kept him out of the side until September), and another saga involving the tapping up of Virgil Van Dijk (resulting in the issuance of an apology to Southampton). The club would, of course, go on to finish fourth in the League while reaching the Champions League final. This is just one example of the myriad times in which a team has seemingly ‘won’ the transfer strategy battle only to be undone on the pitch. However, there have also been many cases where a team has quietly gone about its business without too much fanfare and without too much drama. These teams have prospered during the season as a result of it. Perhaps the weight of expectation plays a far bigger role in the transfer market than meets the eye. This summer, that team is Arsenal. Despite changing their manager for the first time in over 20 years, there has somehow been little drama surrounding the Gunners’ summer business. It is hugely impressive work by the manager, the scouting team and the board to both identify targets and secure them early in the window and without much of a fuss. There is a sense that everyone is in sync and that all parties understand what needs to be achieved in the coming season. Considering the alarming reports coming into the summer that there was little money available to spend, Arsenal’s business has been very smart. Five new players have come in for roughly £70 million. In comparison, almost all of their rivals have spent between 50-70 million on just one player. Now obviously budgets mean that those teams can afford to do this, but Arsenal have strengthened their squad for the kind of money other teams are bringing in single players for. There is a variety to the in-coming players that covers almost all of the main weaknesses in this Arsenal squad. For instance, a new goalkeeper has been signed in Bernd Leno. He might not be as flashy a signing as Allison Becker but the German has potential to become one of the top goalkeepers in England. This fixes the problem of an ageing Petr Cech who is simply not up to the task of being a first-choice goalkeeper at a club the size of Arsenal. Stephan Lichtsteiner has come in from Juventus on a free transfer, one of the smartest signings of the Summer. Despite being 34, he makes for excellent cover to Héctor Bellerín and he has proven to be an excellent leader of the dressing room. The Swiss player has the leadership qualities that haven’t been seen at the Emirates for a long time. Sokratis Papastathopoulos and Lucas Torreira also coming in should prove to be upgrades in their respective positions, which for less than £40 million is extremely impressive business. All of this has led to a cautious optimism around Arsenal, something they’ve not enjoyed for far too long. The fanbase is no longer split between whether Arsene Wenger should stay or go. Unai Emery, while unimpressive at Paris Saint-Germain, had a fantastic stint at Sevilla. Despite following in the footsteps of the club’s greatest ever manager, there doesn’t seem to be as much pressure on Emery at Arsenal as there was in PSG. Regaining a place in the Champions League will be the objective and there is a sense that the Gunners can do it this season. North London rivals, Tottenham, will be moving into a new stadium – which will have its ups and downs, as Arsenal know all too well. There has also been a worrying lack of transfer activity, which could see them regress as they will have to fight off the threat of becoming stale. Chelsea are a total unknown quantity, with a new manager and a lot of business to finalise before the window closes. 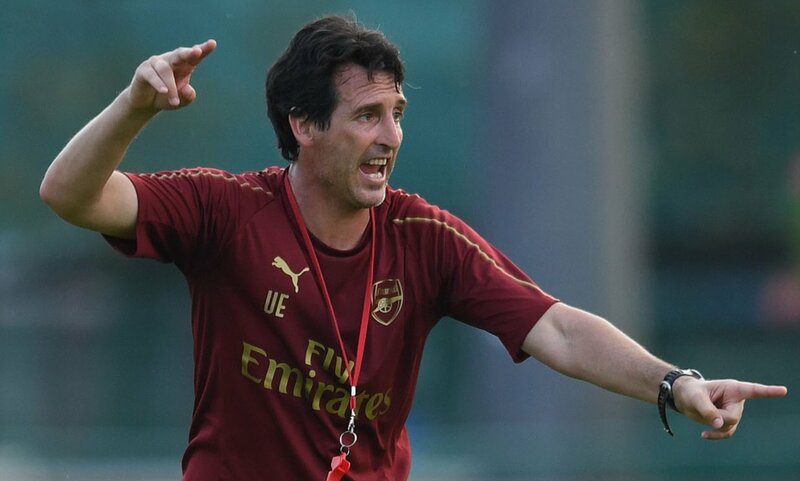 Emery, critically, also has incredible Europa League experience having won the competition three times in a row during his spell at Sevilla. It’s hard to see the Spaniard not taking the competition seriously, which would have to make them one of the favourites to win the whole tournament. The fixture list also offers Arsenal a unique opportunity. When David Moyes was appointed as Manchester United manager he felt “the fixture list gods” had targeted him after handing him a difficult start to life replacing Sir Alex Ferguson. While Emery has also been handed a difficult start, it should be seen as a great chance to lay down a marker. An opening day meeting with champions Manchester City, followed by a trip to Stamford Bridge is as good a time as any to meet those two sides. Both opponents will be missing key players due to the World Cup, whereas Arsenal should have most of, if not all, of their World Cup stars back into the fold by then. Anything more than 3 points from 6 should be considered a good start, especially if picked up in an opening day victory over Pep Guardiola’s incredible Manchester City side. If Emery can get the incredible attacking options at his disposal to click, then they will be as potent as any team in the league. A front four of Henrikh Mkhitaryan, Mesut Özil, Pierre-Emerick Aubameyang and Alexandre Lacazette, in form, should be as feared by defenders as by commentators. Get those players clicking and Arsenal will be singing.